For many years, the majority of people who took part in the search for Igor Dyatlov's group - students who died in 1959 on Mountain of the Dead - stubbornly remained silent. The silence was broken by Vladimir Korotaev, the first investigator in the case of the death of the hikers. The investigator's story became truly sensational. But he did not give a clue to the main question: what caused the terrible death of the hikers. "I am 81 years old. Now you understand why I want to tell you the little that I know? "- asks Georgiy Karpushin. In 1959 Karpushin was the senior navigator of the 123rd flight detachment of the Ural Civil Aviation Administration. According to him, he was the first to spot the tent of the dead hikers. The story of G. Karpushin fills an unknown page of an old tragic history, although it is in many respects at odds with the well-known versions. "In the second half of February, 1959, a representative of the UPI, named Gordo, came to our squadron and reluctantly told us that a group of students were not contacting the Ivdel district, it would not hurt to organize searches ... But we are not a private shop! We say: it is necessary to search - file an application. As a result, after a while, the application really came to us. On the Yak-12A plane, the commander of the aircraft Ivan Emelyanovich Spitsyn, I and two representatives of the UPI flew to search for the group. The first name I do not remember, the second was the above-mentioned Gordo ... "
Lev Ivanovich Gordo - chairman of sports club UPI in 1959. To search for the hikers Yak-12A was chosen not by accident: the letter "A" in its name means that the fuel reserve is enough for 6 hours, which is justified by the size of the search area. Here and further down in italics are the editorial notes. "The first night after arriving at Ivdel's airport, we began to study the route of the movement of the Dyatlov group and started studying meteorological conditions in the mountains of the northern Subpolar Urals. Thus, comparing the route and the summary, I could find out where the hikers could be caught by a blizzard or snowstorm. Strangely, but despite the fact that those places are rather provincial at first glance, Ivdel airport had a first-class airspace and meteorological station - it worked under the program of the international geophysical year. The head of the station, Rakhimov, a brilliant forecaster, laid out the situation before us very neatly. According to Gordo, the final destination of Dyatlov's group was Mt Otorten. Then the students, having crossed the Ural ridge, had to move south along the western slope of the Urals and the upper sources of Vishera river. The latest information on their movement was as follows: after reaching the loggers village of Burmantovo, the students went further along the winter road. First we examined the foot of the ridge and the river, but not even traces of skis were found." Otorten - a mountain with a mark of 1182 m above sea level on the watershed ridge in the sources of the Lozva river. Climbing it is only possible for experienced hikers. According to this trek, Dyatlov group were to be awarded category III, the highest level of difficulty. "By the way, one of the first days of our work an An-2 flight plane flew to us. A group from UPI arrived, 12 students. They approached us, declaring categorically: "Tomorrow you will take us there." We look at them, slightly surprised. What, those 9 missing are not enough? Dressed lightly, in stormjackets, with something like "runners" (sneakers) on their feet. Guys, where do you think you are going, to a sanatorium?" At first we flew on the eastern slope to the Mt Otorten. Clouds - about 300-350 m lower edge. Now we can already say that the search flights were carried out with the grossest violations of all conceivable rules. With such cloudiness, as it was then, it is impossible to fly at all. Each such flight could end in tragedy. To replace the Yak-12 we called fromSverdlovsk an An-2, known for having the best navigation equipment. Then we decided to risk "punch" the clouds and fly along the western slope. It almost cost us our lives." 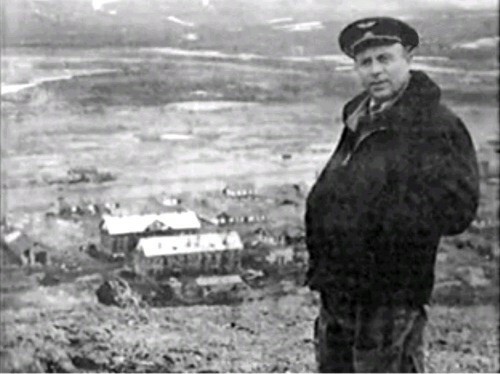 Taking off from Ivdel, the pilots reached the top of Chistop and overcame the Ural ridge in the clouds. After flying 40 kilometers, they descended to a height of 400 m and emerged from the clouds. Only thanks to such a clever route they managed to explore the western slope. A few years after the death of students a radar station was installed on Mt Chistop, which existed until 1983. Externally, the appearance of this military facility is not conditioned by anything, which gave an additional reason for many researchers to talk about the "cosmic" trail of the tragedy. At the moment when the search plane began to return to Ivdel, a catastrophe nearly happened, which could only be avoided by a miracle. The navigator Georgiy Karpushin recalls: "On the flight maps, the so-called "millionaire ", on the way to the Ivdel airport, we flew over the top of Oyko-Chakur. The height of the mountain on the map is marked as 1282 m. Clouds, nothing is visible, we go on instruments. Ivan Emelyanovich (Spitsyn, the pilot of the plane) was tired, asked to be replaced. I am, in fact, not just a navigator by education, but also a pilot, so it was not a problem for me. He dozed off, and I took the helm. The distance to the summit is 600 m by instruments. And suddenly something gray appeared ahead. I stared ahead: almighty, these are rocks! I had seconds to make a decision. Thank God, there was enough time, managed very sharply to veer to the right. Approximately on February 18-20 Spitsyn was recalled to Sverdlovsk, and the regional leadership, realizing the seriousness of the situation, ordered to strengthen the composition of the search groups. According to Georgiy Karpushin, a certain Shishmarev, Lieutenant-General of the Interior Ministry, оr a KGB officer (he means Major General Shishkarev Mihail Nikolaevich - ed. note), was heading the headquarters for the search for the Dyatlov group from Sverdlovsk. Everything had to be secret so we didn't even know his name ... "
Meanwhile, 3 more crews from the 123nd detachment and 3 crews of the air defense squadron from Aramil flew to Ivdel. In addition, several helicopters were brought at the service of the searchers, which were previously based at the airport. "Now I come to the conclusion that these machines were intended to search for escaped convicts from the camps of Vizhay and Burmantovo," said the pilot. "On the Mi-4 helicopter, we with the commander of the helicopter Vladimir Pustobaev dropped several search groups: on the top of Mt Otorten, near Oyko-Chakur and on the Tulmskiy stone. The groups consisted of workers of the Ivdellag, local hunters-mansi, hikers among the students, well-equipped and prepared." At the search headquarters, we decided at once: as soon as the weather improves, take off with all seven aircraft. For approval, General Shishmarev was given a plan, according to which the pilots of the 123rd detachment were to go along the western slope, the air defense pilots - on the eastern slope. The "leading" plane, commanded by P. Gladarev (Gladyrev Petr Vasilievich - ed. note) with navigator Karpushin, maintains the connection of all the crews. The general approved the plan. Gladyrev Petr Vasilievich, pilot of the 123rd detachment of the Civil Aviation Administration. Later he died in the same area, carrying out transportation work. The cause of the crash is the breakage of the supporting blade of the helicopter. "To avoid the accumulation of aircraft, I instructed the rest of the crafts to return to Ivdel. I remember we made a lot of runs over the tent. It was clearly visible that it was cut from the north. Straight by the tent, a corpse of a woman lay judging by her long hair. A little further away lay another body. It was evident that the students left the tent in panic. By the way, I was already struck by the fact that the tent was improperly set up, on a gradient of about 30 degrees, open to all winds and rock falls ... What made the guys do this - I can not imagine. I can assume that, having reached the top, they were so tired that they decided not to go down to the foot of the mountain. This mistake became fatal for them. The pilots marked the tent position on the map and contacted Ivdel, where they received the command to return to the airfield. After a while, the helicopter Mi-4 flew to the place of the death of students with investigators on board. The landing of a group of investigators was borderline foul. The cloudiness was so great that the rotor was not visible. Landing on the mountain failed, so the helicopter passengers had to jump out of it from a height of several meters. In parallel, helicopter pilots evacuated other search groups. Then, at the end of the search, there was no more need for us, and in March the civil aviation pilots left for Sverdlovsk." Over time, the navigator developed his own version of the death of students, and to most of the existing theories, he is skeptical. "At about the same time, when the bodies of the hikers were found," says Georgiy Aleksandrovich, "someone blurted out that they had fallen victim to the debris of the spent part of the missile, but this version only perplexes me. Firstly, we were practically the first to fly over the place of the tragedy, and I can state that there were no debris or traces of clean-up. Secondly, launches have always been made in the eastern direction, taking into account the angular displacement of the planet. Miracles do not happen: everything was calculated so that the spent parts of the missiles fell into the remote areas of Altay." The version about the attack of the convicts, too, does not withstand, in the opinion of George Karpushin, a test of scrutiny. "When we started the search," the pilot asserts, "the headquarters of the searches promptly made inquiries to the nearest camps, there were two of them - Vizhay and Burmantovo, there were no prisoner escapes. The answer was no. But even if we assume that someone escaped, how could such prisoners, in some quilts, have overcome such a huge distance to the place where they found the tent? "According to the pilot, the appearance of such assumptions is due to the fact that the search, at least that their part, which was connected with the participation of the military and aviation, was conducted in an atmosphere of utmost secrecy. However, they buried the victims of the pass secretly. "Those were the times. Secrecy was everywhere and in everything. I remember one of the meetings in Sverdlovsk, where I was present on duty, says the former pilot. - Various measures to increase vigilance were discussed. So there the topographers present at the meeting, in all seriousness, proposed to move the coordinates of the cities of the region on geographic maps in order to confuse the "enemy". Such extreme measures. And in the situation with the death of the students, it seems to me that excessive secrecy played a role. Hence the surrounding aura of mysticism. However, I can not give answers to all the questions. For example, I can argue, since I saw the bodies of the deceased, that they were of a natural color, and not of any orange color, as they later said. But I can not say for sure whether the corpses had radioactive background or not. At that time, nobody was particularly interested in radiation." To balance the "extraterrestrial" and other versions, the navigator developed his hypothesis about the death of students of the Dyatlov group. "I used to fly in those places," he told the correspondent of "AIF-Ural", - this is how my theory was born. The matter is that from local hunters I repeatedly heard about the existence of idols in these places. I heard that in the woods, in secret places, there were wooden figures worshiped by the Voguls (Mansi), made offerings in the form of furs, money, smeared their lips with bear fat. The destruction of these temples entailed death. I still remember a case that occurred in the area of National mountain - geographically it is close to those places. There geologists were researching rock crystala. They were helped in this by unlocked convicts. Once four of these cons looted one of these idols. All of them were shot by Voguls. And in the area of the Dyatlov Pass there is a small mountain-volcano Hoy-Ekva (Хой-Эква). There in August 1949, surveying the terrain from the air, we noticed just a huge number of Mansi on reindeer sleds, which came here from the surrounding villages. Remembering the stories I heard earlier, I suppose that their pagan temple is located nearby. Apparently, Mansi, seeing that the hikers had climbed close enough to the sacred places, decided to frighten them. After the students left the tent in panic, the rest was due to the cold and the fractures that they got while trying to flee the mountain in panic..."
February 1 this year marks the 45th anniversary of the death of 9 students of the UPI - Igor Dyatlov group, on one of the mountain passes of the Northern Urals. With this article, dedicated to the anniversary of their tragic and mysterious death, we hoped to add a few touches to this tragic picture of the past. After the first part of the material was released, the editorial office received many calls with details and corrections. Which, in our opinion, is wonderful. Because, without claiming for the truth in the last resort, and even more so for unraveling the causes of the tragedy, "AIF-Ural", we hope, added new, unknown facts, thanks to which the motley mosaic of the history of the Dyatlov Pass became more complete.